Archie query form is a kind of search engine. It effectively gives the output of various results from Web Index database in the format you want it in. For search query, you can select from keywords only, excerpts only, and links only options as per your requirement. Archie Query Form also offers some optional parameters like domains or maximum match to make search more fruitful. 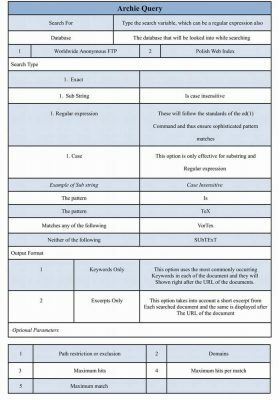 We bring to you this Query Form sample template. 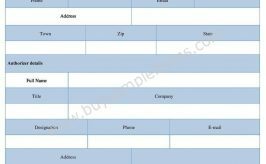 Download and customize Archie Query Form template for small businesses. 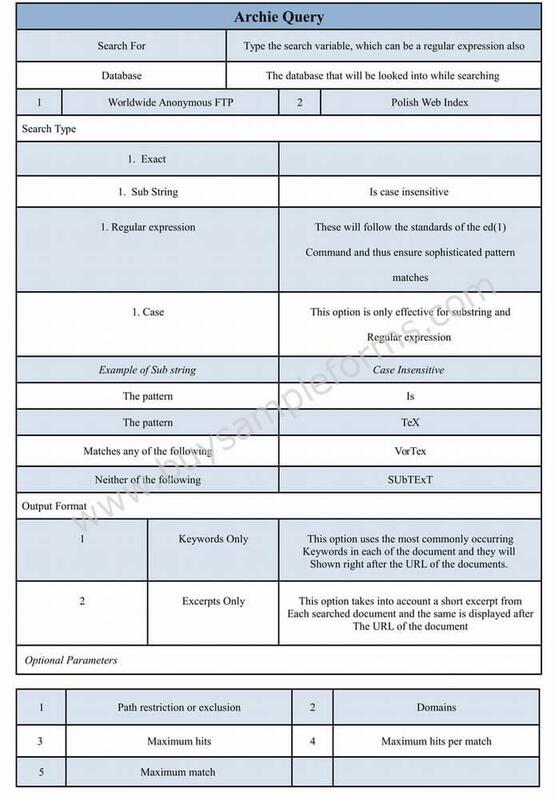 This form template is available in MS Word and Editable PDF format.